Researchers at MIT’s Fluid Dynamics of Disease Transmission Laboratory slowed down more than 50 sneezes on video to reveal that the spray begins in sheets, bags and strings of fluid, eventually separating into droplets of various sizes. This process propels large droplets short distances, but allows microscopic droplets to travel long distances and potentially stay in the air for an extended period of time. The goal of this study? To prevent the spread of disease. The MIT team, led by Lydia Bourouiba, would like to eventually assist architects, engineers and other facility professionals in creating healthier buildings. The study, soon to be published in the journal Experiments in Fluids, shows that sneeze droplets are not all already formed and neatly distributed in size at the exit of the mouth, as researchers previously thought, Bourouiba said. In the future, Bourouiba’s team plans to experiment to find how a sneeze can spread different contagious airborne pathogens. Though researchers are still working out the exact anatomy of a sneeze, the findings overwhelmingly reveal that a sick person can quickly contaminate a room’s air quality. 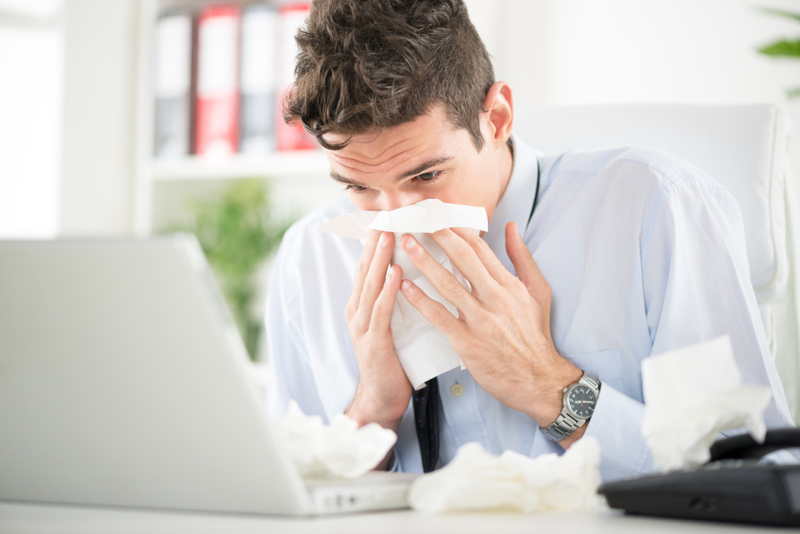 With Staples’ Sixth Annual Flu Survey revealing more than half of workers knowingly go to the office feeling under the weather, it’s time to take extra steps to remove viruses from the air. Check out AeraMax Professional’s flu season special report to learn more about how to stop the virus from spreading in your facility this year.